1) With National Plan Your Epitaph Day being celebrated this week, what would you like to have written on your gravestone? “Drink to me and drink to your health, you know I can’t drink anymore”. With apologizes to Paul McCartney. 2) This week, some churches and dentists across the U.S. “bought back” unwanted Halloween candy, many of them sending the candy purchased overseas to deployed soldiers. What would you do with candy you were given that you didn’t want? 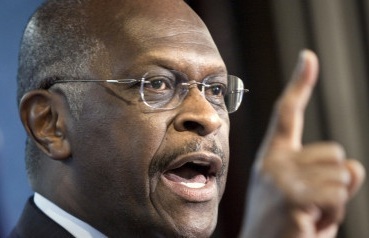 I sell in for the “Cain Sexual Harassment Save-the Republicans from Mitt Fund”. I swear after they finally realized that Michelle was an idiot, Perry a buffoon and Herman Cain is a disaster. Enter Palin. Congrats Obama on your reelection. 3) What do you do with mail that comes to your home addressed to past residents (forward it, trash it, open it, line your bird’s cage with it, etc.)? Trash it. 4) November is National Novel Writing Month, and thousands of writers will try to start and complete an entire novel by Nov. 31. If you were to write a book this month, what would the topic be? The Beatles. Yea, yea, yea. 5) Last week Fox announced that an updated version of its 1990-94 sketch comedy show “In Living Color” will be created and will air this spring. What do you think of sketch comedy? The best. 6) If you were on a trip to Los Angeles and took a walk down Hollywood Boulevard, would you want to have your photo taken with any of the impersonators who patrol the street? 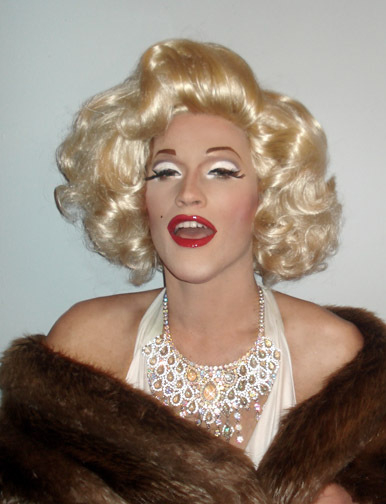 (The impersonators include people dressed up as real people like Elvis, Marilyn Monroe and Lady Gaga and as fictional characters from comic books, movies/TV shows, and cartoons.) I’d charge the clowns to pose with me. I mean I really was on radio and TV. And I look more like me then they look like anyone else. 7) Do you have nicknames for any of your neighbors which you use to describe them to other people? Yep. The boyfriend whose GF came in here and got naked, we call Opie. Guess why. 8) Speaking of your neighbors… have any of your neighbors ever witnessed you doing something embarrassing (or vice versa)? Other than a neighbors girlfriend walking in and getting naked immediately, no.